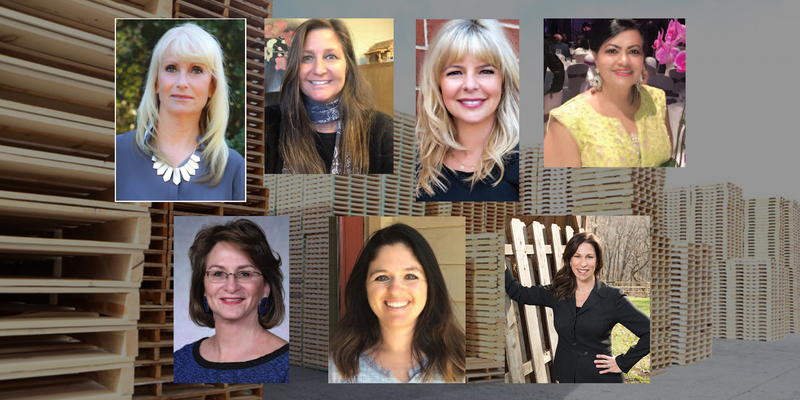 With October named as the national celebration for women in small business, Pallet Central appropriately sat down with many of our female industry thought leaders in the wood packaging sector who share their stories that inspire us all. We applaud these women, and their accomplishments and drive have made a lasting impact on the industry. Here, we highlight seven of these notable women. Mia Allen thrives on meeting new people, so after graduating from college she naturally began a career in sales. Six years ago, she and her sister Amy cofounded Rose Pallet and have since built it from the ground up. 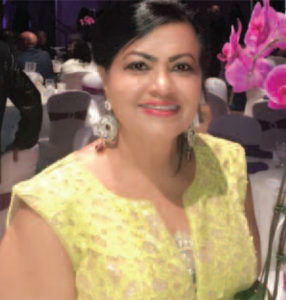 “Every anniversary is a milestone for us because there has been a lot of sweat, laughter and tears that have gone into our company,” she says. Building a business from scratch is a challenge for anyone, whether it’s in the pallet industry or not. The key is to implement good business practices while remaining adaptable. “Business is always changing, I’m grateful I can adjust and don’t mind doing it. I’m always learning and that is what feeds me,” she says. 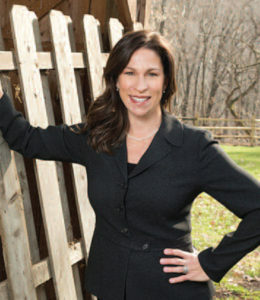 When her father passed in 2009, Carolyn continued to oversee the company. “My management team have been with the company from the beginning, so they are the ones that keep the day to day operations going. I still work in the office but mostly I deal with customer relations, pricing and problem solving,” she says. The business continues to thrive, with a new 3.5-acre expansion to their current facilities. “It’s been great to look across the street and watch our pole barn go up for more production room. And the rest of the land will be for pallet storage,” she says. Debra Berry and husband Peter co-founded Berry Industrial Group in 1984. “Peter had decided to start a company, but internal business process and protocol was not his forte. That’s not what he does, so I came in to organize the business, start building the foundations – production, accounting, legal, banking, HR – and that’s how we started,” she says. The journey from start-up to established business has been a process of continuous improvement. “I’m always looking to improve what I do and who I am,” says Debra, who recently completed an exclusive mentoring program sponsored by Monsanto that dives deeply into every aspect of business. “It’s one of the most intense programs I’ve ever done. Anytime I had a question related to what I was doing, they would find somebody in the organization to help,” she says. Kathleen Dietrich just wanted to earn some extra money while attending school, so she answered a Help Wanted ad for a receptionist at a local lumber company. That fortuitous decision led to a career in the industry when she joined Commercial Lumber and Pallet Company.“It was super exciting watching the company grow and utilizing so many day to day opportunities to increase my knowledge of the company and the pallet industry, and be a part of the innovation and initiatives that allowed the company to evolve from the then current technologies to what we have today,”she says. Before she sold pallets, Molly Gordon bought them. As the purchasing manager for a label manufacturer, it was one of her duties. 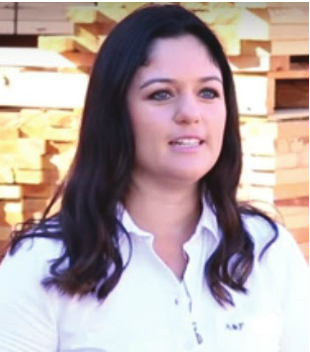 When she was ready for a career change, her supplier – Pallets Unlimited – was happy to bring her on board. Though her dad owns Valley Pallet, Lindsey Shean didn’t think she would get into the family business. An accomplished golfer, she took a shot at the pro circuit while working part-time at the company’s Phoenix location. “As I dove into it, I enjoyed the business. I enjoyed the challenge of getting orders out and working with customers,” she says. 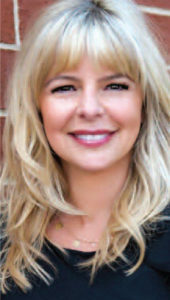 Concluding that she no longer wanted to play golf, Lindsey took on more responsibility with the company, eventually managing accounts in Arizona and the southwest as a regional sales representative. 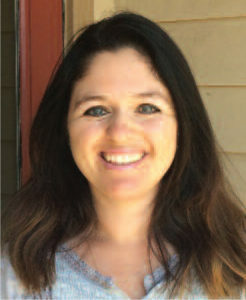 Two years ago, she moved to the main plant in Salinas to take over as the national accounts manager and sales manager role. “I oversee our sales team and kind of handle our national accounts and oversee all that activity, anything from customer service to overall account management,” she says. One of her concerns is getting the next generation of workers involved in the industry. “Our industry will continue to evolve. Society will continue to evolve. I think we do need more women leaders. I think it’s about getting more involved and getting new blood and new ideas,” she says. 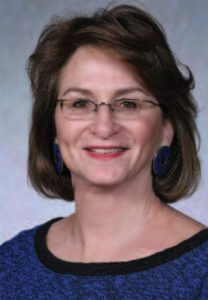 Annette Walter brought her background in banking and operations to the pallet industry when she bought Timber Industries in 2013. “I was drawn to this industry because there’s so much opportunity to elevate process and efficiencies and innovation in this space,” she says. At the same time, she thinks it’s important for women in leadership positions to embrace their responsibility as role models. “It’s important to show younger women that no space and no industry is not reachable or attainable. You can really stand wherever you want to stand as long as you have the discipline, the thoughtfulness, the integrity, and the tenacity and hard work ethic to build a company,” she says. 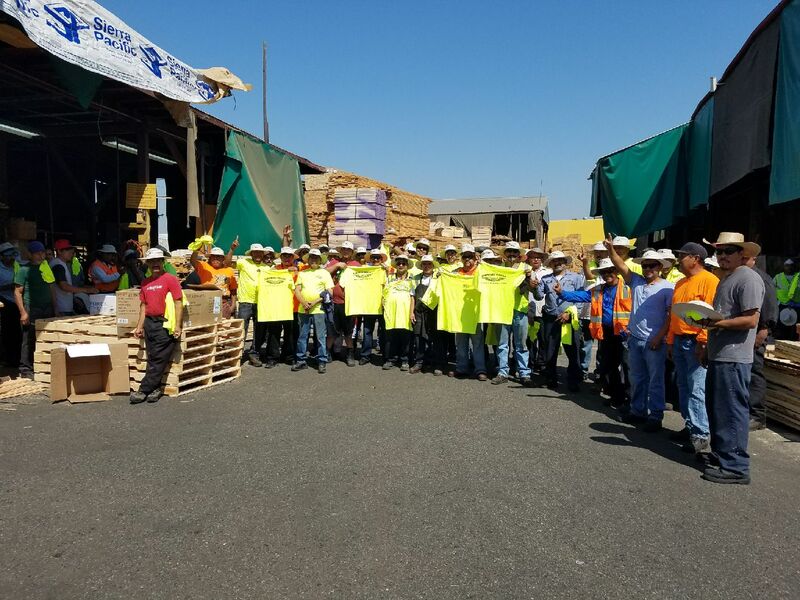 Commercial Lumber and Pallet Company donated pallets to People’s Care, a support service and program for adults with intellectual and developmental disabilities. Their programs also expand to Health Systems, including their Behavioral Health Service for Children and teens with autism spectrum disorder or other behavioral disorders as well and Home Health and Hospice Services. 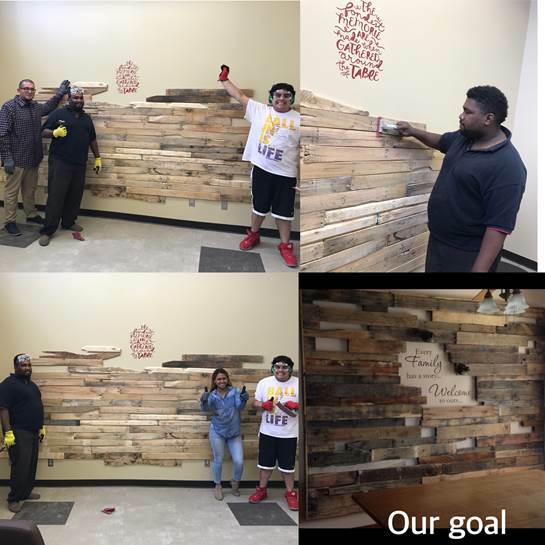 The Pallets donated were utilized in their Education and Employment Service department to help individuals learn building skills together. 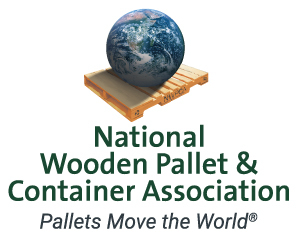 Member of the National Wooden Pallet and Container Association (NWPCA) took to Capitol Hill on Tuesday, June 20th, 2017. Armed with a schedule packed with meetings with congressional and committee offices, the Association contacted nearly 9% of the United States Congress in one day. 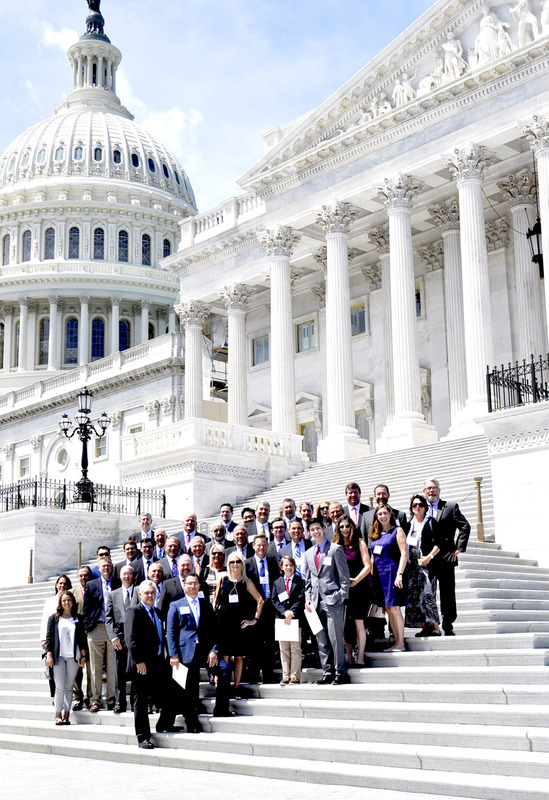 The NWPCA along with Lobbyit, a professional lobbying firm, helped guide members through the maze of the House and Senate Buildings, plugging members into offices that represented their home state or even home district. The primary issues covered in the meetings included the Cary Institute report and the defense of ISPM 15. 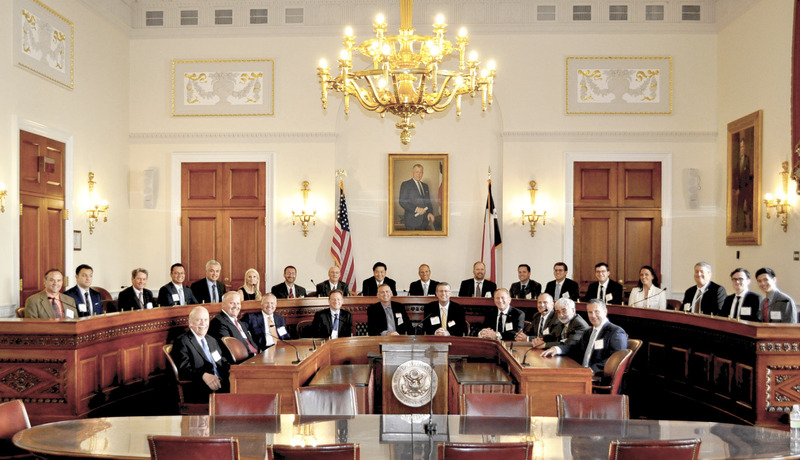 Out of these issues, members were briefed on the facts and how best to address their representatives: ISPM 15 works, and the Cary Institute needs further evidence to back up its claims, Labor, immigration, and health care also became important talking points, and ones that congressional staff were especially receptive to. 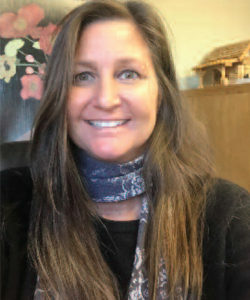 Kathleen Dietrich, a member of both the NWPCA and the Western Pallet Association (WPA), spoke directly to the staff of her Senator, Kamala Harris (D-CA), about the effect that these issues had on her business. Other WPA members in attendance included Jim Schwab, Pallet Logistics of America; Mike Hachtman, reLogistics Services; LeRoi Cochran CHEP; Howe Wallace, PalletOne; and Scott Vipond, Girard Wood Products. In addition to the House and the Senate, members met with the U.S. Department of Agriculture (USDA) to discuss pest management, and the Department of Labor to discuss the Occupational Safety and Health Administration (OSHA) and its relationship with the pallet industry. Throughout the discussions between the Association and its representatives, it became clear just howimportant it is for members of government to meet face-to-face with the people who make up the industry. By reaching out and visiting the capitol, members also encouraged their congressmen to return the favor, and tour their wood pallet and recycling facilities themselves. The U.S. and Canada have long disputed over the issue of Canada softwood lumber being imported into the United States. While there are nuances to the issue, the main cause of the disagreement is that much of Canadian softwood forest is publicly, owned, compared to most privately owned forest land in the United States. Consequently, the provincial governments of Canada have greater control over stumpage fees, where U.S. lumber producers are subject to supply and demand market forces to set the pricing. With different forces driving price, the two countries continue to disagree over the existence of competitive advantages in the marketplace for softwood lumber. The modern framework of the dispute can be traced back to 1982, when the first countervailing duty (CVD) petition was filed by U.S. softwood producers, claiming that Canadian softwood lumber was unfairly subsidized. Nothing consequential came from this petition because of technicalities, but a second petition was filed in 1986, where the International Trade Commission (ITC) and U.S. Department of Commerce (DOC) determined that Canadian Lumber was subsidized by a rate of 15%. This determination lead to a memorandum of understanding (MOU) between the two countries until 1991, where Canada agreed to impose an original export tax of 15% on softwood lumber. Canada withdrew from the MOU in 1991, after which came several years of dispute that included required cash deposits and a CVD that totaled 21-26% on Canadian lumber. In 1996, the first Softwood Lumber Agreement (SLA) was established between the two countries to normalize trade. This SLA set a tariff-rate quota (14.7 billion board feet) on much of Canadian lumber, and shipments that exceeded the quota were taxed by the Canadian Government. If prices exceeded a “moderate level,” Canadian lumber could enter the U.S. tax-free. The U.S. reciprocated by not imposing a CVD or other restricting action. The SLA expired in 2001 amid allegations that Canadian lumber companies were making slight modifications to the lumber so that it would classify under exemptions to quota. Upon expiration, the DOC and ITC reviewed petitions by the U.S. lumber industry against Canadian lumber entering the U.S. where the original determination was made that it would be subject to a CVD and anti-dumping duty (AD) totaling 27.2%. Canada made several appeals in the subsequent years, which resulted in reductions in payments. 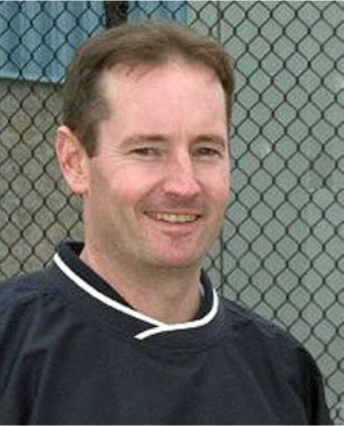 The second SLA came into effect in 2006, where the U.S. agreed to terminate both CVDs and Ads. Canada agreed to collect taxes and made quota restrictions on lumber exports. Fees were assessed from 2.5% to 15% based on the region of production and prevailing retail price. Both U.S. and Canadian entities were scrutinized for proper enforcement over the following years, but the agreement held until its expiration in October 2015. A one year extension was put in place while two countries attempted to reach a new deal, but one was not reached. As of October 2016, softwood lumber had been entering the U.S. freely without a duty or tax. Soon after, the U.S. Lumber Coalition filed another CVD/AD petition with the threat of retroactive duties limiting the amount of lumber crossing the border from Canada. On April 24, 2017, the Trump Administration took retaliatory action against Canada over the softwood lumber issue. Commerce Secretary Wilber Ross announced a preliminary countervailing duty (CVD) rate of 19.88% will be levied against Canadian softwood lumber exports to the United States. Individual rates will be assessed to the five companies that were investigated. They are: West Fraser, 24.12%; Canfor, 20.26%; Tolko, 19.5%; Resolute, 12.82%; and J.D. Irving, 3.02%. The weighted average of those five companies’ rates determine the “all other” Canadian companies, which means those duties will be retroactive 90 days from when the CVD determination is published in the Federal Register Notice. Mr. Ross said the tariff would be applied retroactively and imposed on Canadian exports to the U.S. of about $5 billion a year. Commerce Secretary Ross said the dispute centers on Canadian provinces that have been allegedly allowing loggers to cut trees down at improperly subsidized costs and sell them at lower prices. In talking with various leaders in this industry, we have heard different stories about what to expect next. There’s a feeling among some players that nothing can be done about the tariffs, which will inevitably rise. Others believe that it can be fought, reversed, or negotiated. There is more room for negotiation potentially coming up this year, and with the tepid response from Congress to Trump’s recent outline of priorities on this treaty, almost any outcome is still on the table. The U.S. softwood producers have shown strength in their win this round, while forces on the other side are quickly mobilizing. They realize that, in a battle like this, if you don’t show up to fight, you could easily become a casualty. The players in favor of the increased tariff include virtually all of the U.S. lumber producers and their trade groups, lawmakers from logging states, local community leaders from those areas where U.S. logging jobs are based, plus the entire economic supply chain related to U.S. logging. They’re happy with the early action taken by President Trump. On the other side you’ll find (unsurprisingly) all of Canada (logging to them is like movie-making or the software coming out of silicon valley). But also, there are plenty of U.S. interests that are opposed to the tariff: homebuilders, lawmakers who believe in free-trade (which includes most Republicans in the Congressional majority), some retailers that sell lumber. Even the Heritage Foundation has opposed this, pointing to harm that will occur to other sectors of the economy and how Canada could sell their lumber to Asia while the U.S. ends up with higher prices in the long run. Then there are some Canadian lumber companies with a large presence operating the U.S> that could benefit either way. The U.S. Department of Commerce will play the primary role in tariff determinations, which are levied at specific companies or industries at their discretion (subject to U.S. law and treaties, of course). Secretary Wilber Ross has taken a conciliatory tone toward Canada on the tariff changes. The U.S. Commerce Department is expected to make a final determination to the anti-dumping case by June 23, 2017. There has been no progress to date on the Softwood Lumber Agreement or expected timeline for completion. On May 18, 2017, the United States officially indicated its desire to enter into discussions on renegotiating NAFTA, triggering a 90-day consultation window before formal talks begin. It is highly unlikely a new Softwood Lumber Agreement would occur prior to the NAFTA negotiations. “Disruption for the sake of disruption? No. We are in full support of the concept of the 2017 softwood lumber agreement with Canada. The U.S. Dept. of commerce has stated that exporters of softwood lumber from Canada currently receive and have received subsidies between 3% and 25% which gives them an unfair advantage against U.S.-based companies. 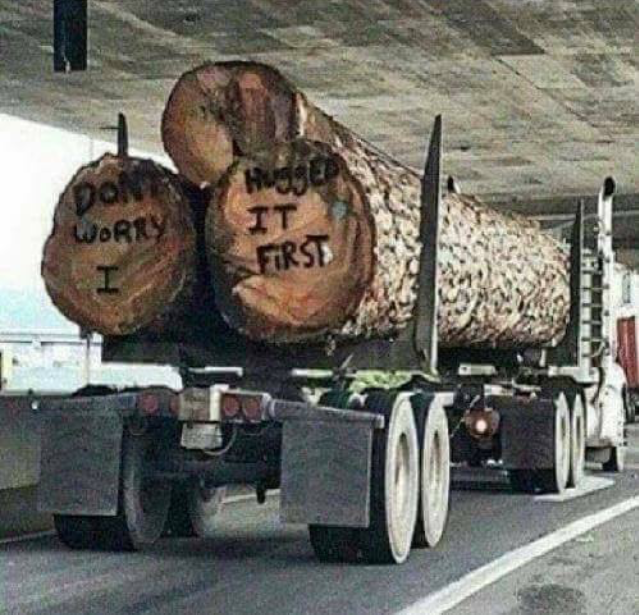 Furthermore, the vast majority of standing timber in Canada is owned by provincial governments, which are free to dump their lumber at virtually no cost in order to stimulate their forest industry. Naturally, resistance is heard from people who are profiting from this arrangement. I recently read that a mattress frame company said the wood they need has small knots and fine grain, a characteristic of softwood species grown in colder climates like Canada, and opposes the tariff. As far as I know, there are multitudes of other woods that can be used in lieu of “cold-grown” wood or perhaps something as simple as reengineering is in order. Either way, it’s not the end of anything, just a recalibration. “The announcement on May 8th on Countervailing Duties (CVD) of 19.88% with a 90 day retroactive period against certain wood packaging products manufactured from softwood lumber (SPF) has affected a number of Canadian exporters adversely. In the wood packaging industry, the area most affected is the annual export trade of around 300,000 mbf of unassembled pallets (HTSUS 4415.20.8000) and notched stringers (HTSUS 4415.20.8000). Also affected are smaller volumes of softwood lumber pallet cut stock. Many of the manufacturers affected had anticipated the duties but early this year. Most have lain off staff, but some have closed operations altogether. The impact that will be felt by the U.S. pallet manufactures is considerable, they are faced with replacing long established supplies of high quality SPF raw material with substantially higher priced domestic material. Exporters are also experiencing confusion at the border and transportation delays are expected. Exports of non-targeted species such as aspen pre-cut material has seen prices rise and demand strengthened in the last few months. 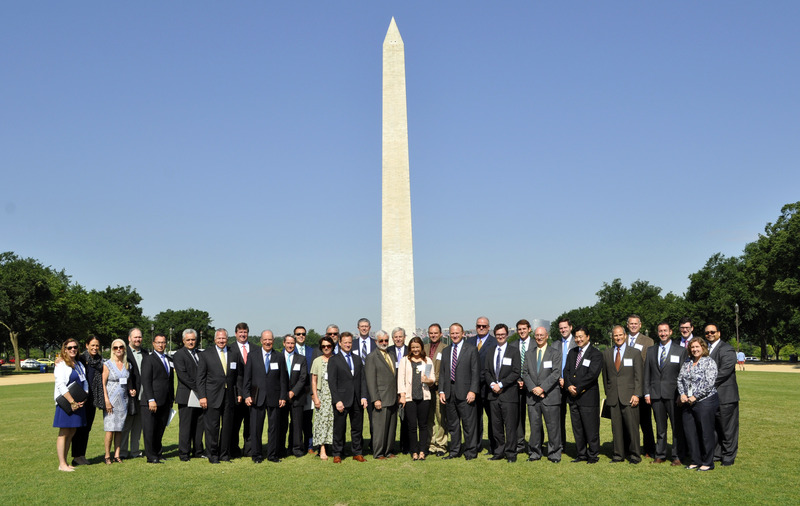 We would like to share some photos from the NWPCA Congressional Fly-In which our very own Kathleen Dietrich, participated with Government legislators, representing Commercial Lumber and Priority Pallets. 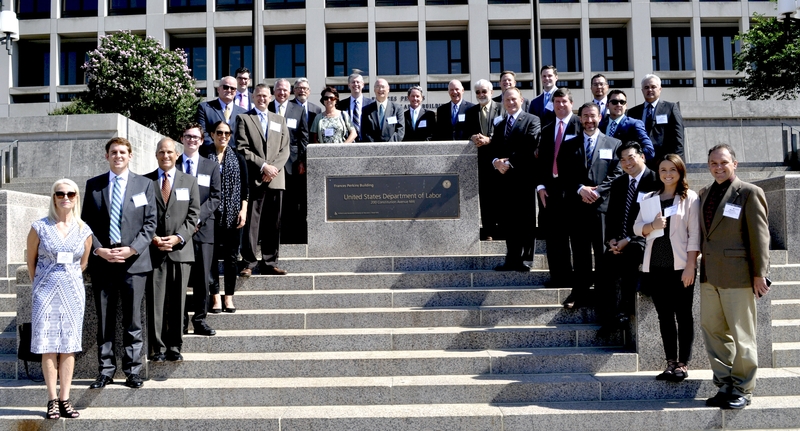 This was an event in with issue-briefings, Capitol Hill visits, Federal agency meetings, and lots of networking. Did you know that 95% of all Pallets in the United States are Wooden Pallets? Over 1.3 trillion dollars in merchandise is transported by Wooden Pallets Annually. Wooden Pallets are Sustainable and Recyclable and do not enter into landfills. They are the only shipping platform that has been deemed as Bio-Preferred by the USDA. In the United States, over 50,000 people are employed in the Pallet Industry. The Pallet Industry uses 45% of all hardwood lumber and 15% of all softwood lumber produced! Leadership Roundtable: A group of industry leaders discuss key issues from human resources to changes in the pallet lumber and core markets to robotics and competitive challenges. This is the first article in a multi-part series. A group of industry leaders discuss key issues from human resources to changes in the pallet lumber and core markets to robotics and competitive challenges. This is the first article in a multi-part series. As has become a recent tradition, the Enterprise editorial staff has moderated a roundtable discussion with key industry leaders from all aspects of the pallet supply chain and turned the discussion into a series of articles for the magazine. This lively discussion covers many key trends and current issues affecting the U.S. pallet industry. It provides a great snapshot of where we are today and what lies ahead. 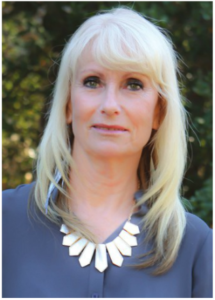 The discussion was moderated by Chaille Brindley, publisher of Pallet Enterprise, and it addresses key concerns from the pallet lumber market to machinery to customer expectations and much more. 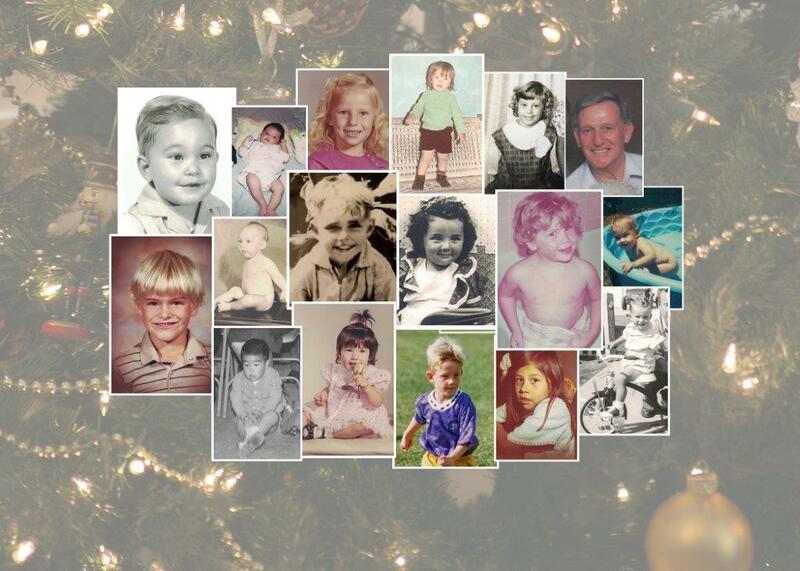 A special thanks goes to those who participated in the roundtable this year. Each participant is an accomplished industry leader who has something important to say. The panel includes: Kathy Dietrich of Commercial Lumber & Pallet, Ansir Junaid of Prime Woodcraft, Bill MacCauley of John Rock Inc., Bob Swan (father) and Rob Swan (son) of Battle Lumber Co., Bill Hildenbrand of Pallet Express, Lindsey Shean of Valley Pallet, and Nick Wenner and Luke Wenner of Pallet Services in Minnesota. Pallet Enterprise: If you could wave a wand and fix any machinery or equipment challenge that you face, what would it be, and why? 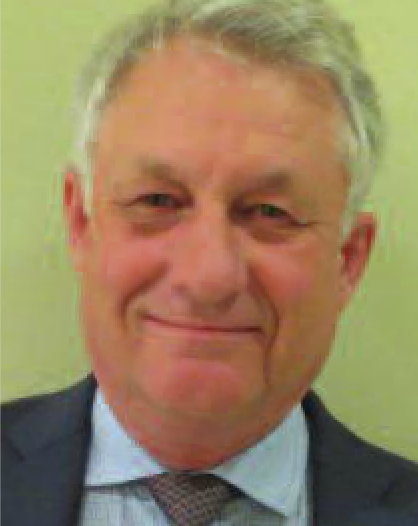 Bill Hildenbrand: Being a recycler mainly, I have found that automation can fix problems, but it also creates new ones for us. It hasn’t been a cure-all. We have two plants, and one has an automated repair line. Automation in our recycling helps save a lot of space in the building. If you have a confined space, it cuts down on forklift traffic. It can also help you maintain quality control. But it doesn’t resolve any problems that have to do with employee attendance — worker absenteeism. From my perspective, automation has created issues and solved them. Overall, it’s been good, but it certainly is not a cure-all. Lindsey Shean: Our biggest bottleneck comes at the tear-down process. In a perfect world, if there was some sort of magic cure to speed up and automate the tear-down process and to make it safer for our workers, that would be something we certainly would like to see. Bill MacCauley: We’re pretty automated, but you can always do better. I’d like to see more robotics put in. The labor force is a constant challenge. You go from needing the labor to needing an electrical engineer to maintain the equipment. It all gets down to labor, and how do you cut labor out or use it more efficiently. I would like to see more robotics in the sawmill process. 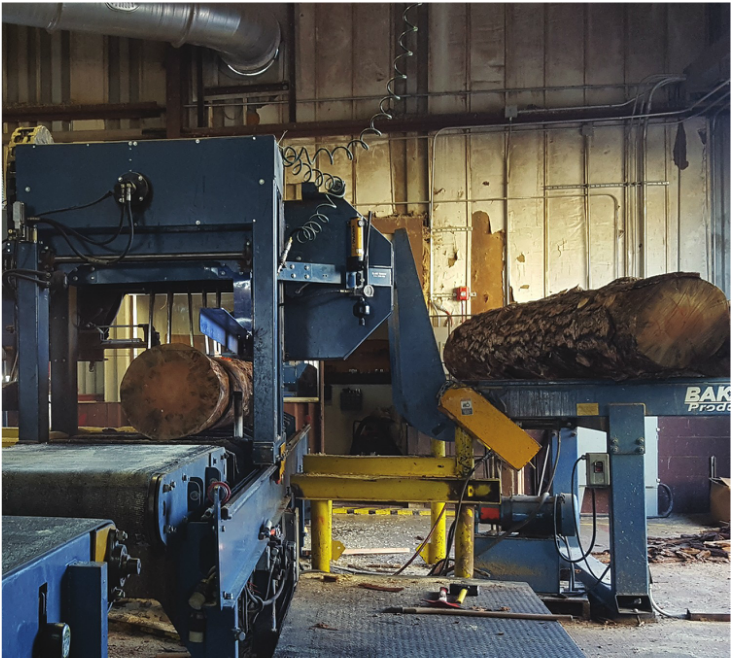 Grading and culling lumber is a challenge, but how do you do it with machines? Pallet Enterprise: How has your mixture of lumber types and dimension changed over the past few years? For example, are you using more softwood compared to hardwood? Are you using more cut stock or cants? What about recycled lumber? For pallet recyclers, have your core sources or supplies changed much? Why? How have raw materials and supplies changed lately, and where do you see them headed? Kathleen Dietrich: We’re kind of waiting for the dust to settle with the countervailing duties on Canadian softwood lumber. We’re in a very foreign area right now. We haven’t had to deal with it in a long time. We’re in a wait-and-see mode. We buy cut stock and dimension lumber. Like everybody else, we have to fly by the seat of our pants and see what makes sense cost-wise. Price increases are really tough for us and our customers to swallow. Lumber prices have risen 45% since last fall. When you have a customer and need to raise your price 25 cents, that’s one thing. When you have to raise it $2-3, it sends everyone scrambling. We have to wait and see what happens. Lindsey Shean: The one thing that’s going to happen…I think we’re going to see a lot of customers go to a low-grade pallet…an expendable pallet if that’s an option for them. We’re sort of in a different position right now. We’re not hurting for recycled pallets, but the impact of softwood pricing is going to drive more people to recycled pallets. We’ve already seen it happen with two larger customers. They loved the new pallet we were supplying, but they’re back on recycled because they don’t want to absorb the price increase for softwood. Some people may move to rental pallets; it’s a scary place to be in. There are so many unknowns. Ansir Junaid: Our company is also involved in commodities, such as handling and recycling corrugated and shrink wrap. A notable change we see is that when consumers order merchandise online, they take the packaging and throw it away—instead of going back to the distribution center. It becomes consumer scrap. This may create a supply/demand issue. We have seen approximately 100,000 storefronts dissipate due to growth of e-commerce in the last six months, and the need for pallets may go down. If you don’t have a store, the pallet will stay in the DC, and it will impact our supply chain in the long term. On the other hand Amazon is working to build another 25 to 30 distribution centers. In the short term, there will be significant growth. Even online retailers need a supply chain, and an infrastructure. Bill MacCauley: No one likes the kiln-dried softwood increases. It’s driving people to look back at hardwood. From what I see, we’re making more and more knock-off 48×40 pallets because the quality of the cores is so low. So there’s more demand for one-way, 48×40 pallets. Bill Hildenbrand: We’ve been working for Amazon for four years. Initially they were much more of a buyer. Ansir Junaid mentioned some of the dynamics taking place. Amazon has gotten to be more of a pallet producer, and they’re buying less. That’s tens of millions of pallets nationwide. As Bill MacCauley said, the pool is terrible. The pallets going into the pool are inferior. This whole quality issue will continue to go on and on. Ultimately, what worries us the most is the big guns who are our clients, they are going to be driven by cost, and the total lack of cost and the availability of a rental system. Rob Swan: Over the past few years, we have seen many of our customers reduce dimensions to save costs. We are still a majority hardwood sawmill, and most of our pallets are made of hardwood, but we have been utilizing more green southern yellow pine due to cheaper prices and easier availability. This has helped us lower costs and meet demand for our customers when hardwood was scarce. Our customers are very price sensitive, so we do everything we can do to reduce costs. The Pallet Design System™ has been a great asset for us because it allows us to show customers ways to reduce costs without harming the integrity of the pallet. 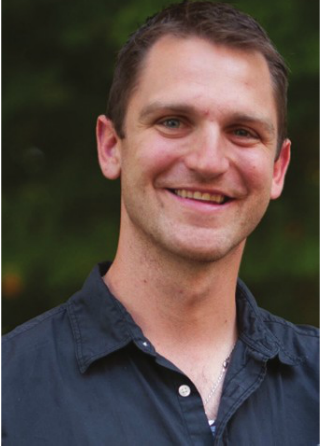 Luke Wenner: We are using more kiln-dried softwood now than a few years ago. The main reason being customers need dried wood versus green material. Mold and moisture are becoming more and more of an issue for many of our customers, so the dried pine has proven to be the best option for most. Currently, with the high cost of kiln-dried and heat-treated lumber, some customers may switch to partial hardwood or all hardwood construction. Pallet Enterprise: How many of you would say you’ve seen a significant move to rental pallets in the last year or two? Has that stabilized or do you have more customers looking into it? Ansir Junaid: Many of our customers are shifting toward a pooled pallet—six customers in the last year switched to pooling companies. There is competitive pricing between CHEP and PECO—it is starting to compete again with prices for recycled pallets. Customers may prefer a rental pallet when it’s affordable and if recycled pallets have quality issues. Since new pallet manufacturing is stagnant, it affects the quality of recycled pallets. Lindsey Shean: In the last two years, we saw two larger customers move, one from a new GMA and the other using a recycled pallet. Both customers went to rental pallets. Pallet Enterprise: When customers move to rental pallets, what are the key drivers? Lindsey Shean: For one customer, pricing was an issue. Another customer that used recycled pallets, their driver was more of a quality issue. It was all a material handling thing. Price and quality — both reasons came into play. Pallet Enterprise: Almost everyone reports having problems finding good workers. What are you doing to address this problem? Is it working? Have you discovered any ways to improve performance of personnel or employee retention? Bill Hildenbrand: We have found everywhere there is an epidemic of drug use. It’s worse than ever. We are trying everything in our power to eliminate people with a drug problem from coming into our facility. That’s become a massive problem. And trying to help people who become addicted or relapse…It’s an issue for hiring and retention. Kathleen Dietrich: We’re early into an incentive bonus program. If someone refers a person for employing, they get an incentive bonus after the person has worked a certain number of days, and the new employee gets a bonus. We’ve seen a little uptick in hiring good people since then. 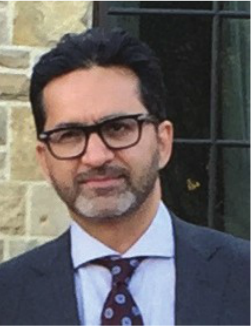 Ansir Junaid: We continuously strive to create an ideal work setting to have a better facility, superior forklifts, safer practices, and foster gratitude within the workplace. If employees feel like they work in a safe and clean environment, coupled with high spirits, it fosters retention. We benefit tremendously when our facilities are more safe and presentable. Rob Swan: One of the many things we are doing to try to combat this issue is offering our employees more incentives. We started with an attendance-based system that allows the employee to gain extra vacation days for perfect attendance. This is a new system that we have just implemented, but it seems to be working so far. We also pay our machine operators on a production-based bonus system that gives them incentive and motivation to build more pallets. Nick Wenner: We have made wage adjustments upwards, mainly in our plant personnel to compete with other employers (particularly manufacturers) for what seems to be a shrinking labor pool. We are also trying to more actively engage our employees wherever we can to try to make working here more than just a paycheck. We all face many significant challenges in our lives, and coming to the realization that not everyone has positive resources for seeking wise counsel or support in a time of need is something we are trying to be more cognizant of. For some their place of work may be one of the few stable things in their life. We are looking for ways to build on that. We are rolling out a chaplain program to offer resources to our employees in times of need and allow time for relationships to be formed. We’re also trying to be more intentional about celebrating successes, recognizing individuals and groups within the company and in general… just trying to show our people that they are loved and valued by our company and by our God. Major California pallet company sets high standard for quality, environmental certification and fire safety. Unique for the West Coast, it cuts own logs on a Baker saw line. True Green Lumber: Priority is certified by SFI for procuring logs and lumber sourced from sustainable sources. One of the few pallet companies carrying this certification, it gives Priority a competitive advantage fro Fortune 500 customers. Ray Gutierrez Sr.’s commitment to quality is evident as soon as you see his company’s property from the highway. Stacks of neatly organized pallets with everything in its place stands as a stark contrast to what you might find at many other facilities. This commitment to proper execution has allowed the company to attract major corporate clients, recognition as one of the few companies in the country with Sustainable Forestry Initiative (SFI) certification for its lumber, and a strong safety record that others hope to emulate. 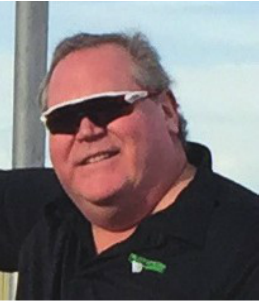 Ray Sr. owns both Commercial Lumber & Pallet Co. (CL) and Priority Pallet (Priority), making his operations one of the largest pallet companies in the country. The Priority facility in Beaumont, California sits on 15 acres and looks more like a distribution center from the outside than a typical pallet plant. The facility services high volume customers. CLP and Priority are known more as pallet manufacturers, but they do a small amount of recycling for select customers. 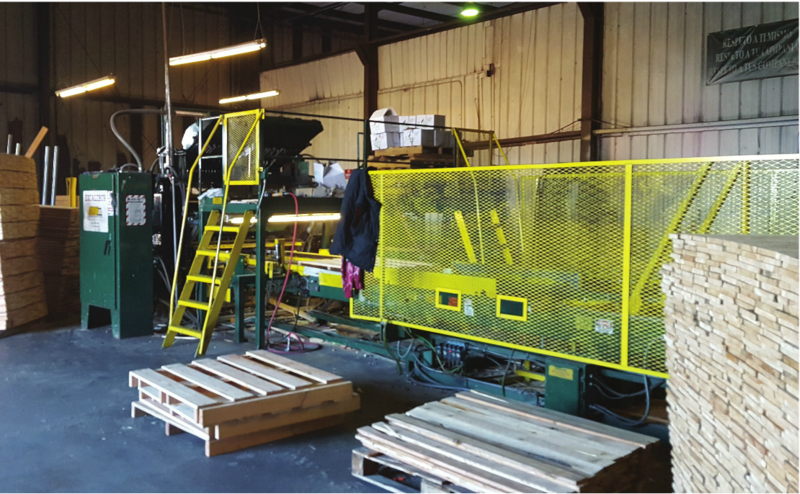 The Priority facility is one of the few places in California where a pallet company processes raw logs and turns them into pallet lumber. It installed a Baker saw line several years ago to process bug kill and other salvage logs. 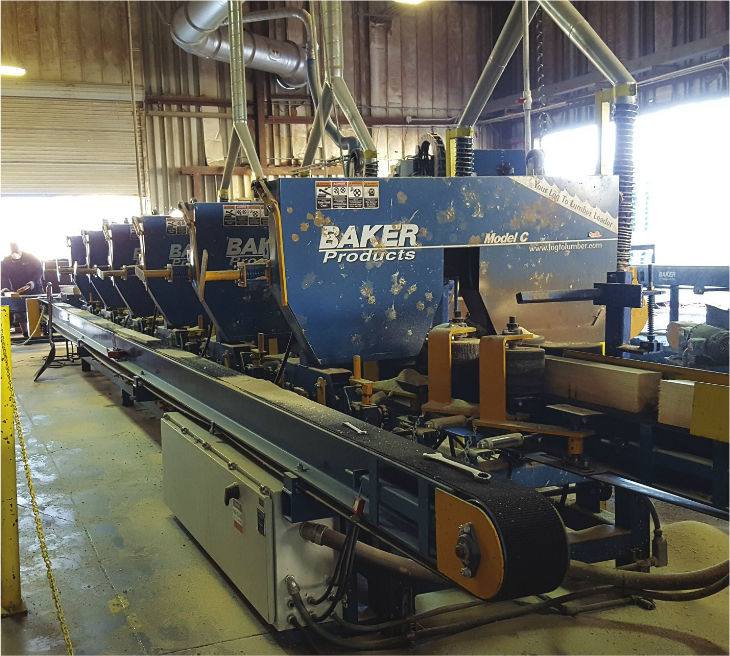 This Baker line was designed to handle a wide variety of materials including low quality salvage logs. Today, it processes higher value logs than in the past. It can also process lumber or cants. 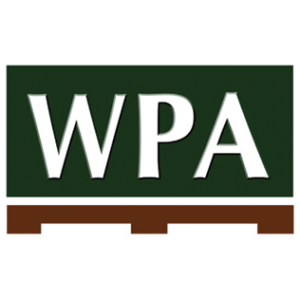 Western pallet companies typically buy precut and random length softwoods from suppliers in Northern California, the Pacific Northwest, and western Canada. Priority secured a $1.3 million grant from the U.S. Forest Service partnering with the Riverside County Economic Development Agency to turn harvested infested timber and turn it into pallet stock. The goal was to have somewhere to take all the diseased timber in nearby forests. Prior to the Priority project, the federal government had been paying to have infested material removed and ground into wood fiber. 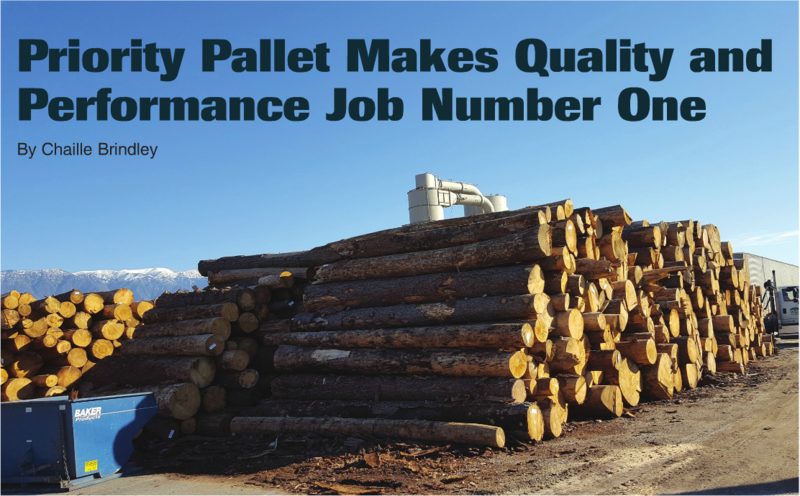 In addition to material from the national forest, Priority Pallet has access to private land timber. 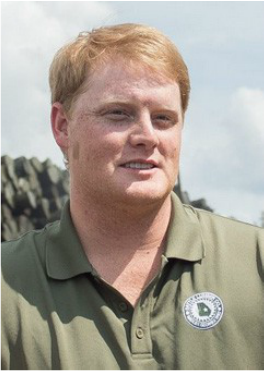 Ray Gutierrez Jr., vice president of Priority, explained that Clyde Reed of Baker Products had encouraged them to put in a system that could be flexible, and capable of processing logs or cants. And it has paid off well giving the company the flexibility it needs to respond to the market. Another major differentiating factor for Priority is its focus on order and cleanliness. Kathleen Dietrich, vice president of Priority, said that Riverside County fire officials were so impressed with what Priority has done from a fire prevention and preparation stand point that they are considering using this facility as a model for others to follow. Most pallet companies in the West buy primarily precut and RL material. This sawmill makes Priority unique in its ability to process lumber from many different sources. Priority’s sister company was just the victim of an arson attack. And several strategies deployed at both sites was helpful in mitigating possible damage. Dietrich explained that surveillance footage showed a person walking down the side of the property with two cans of something and this was used to start the fire at the CLP facility. She declared, “This is not an accident, somebody is deliberately setting these fires.” (See the article on page 46 about pallet arson in California). Priority received a federal grant to process salvage logs from federal land. This has positioned Priority to be able to respond to changing lumber markets. Today it processes both lumber and logs from private land. Dietrich outlines several steps that have helped improve the fire safety of their facilities. She pointed to the placement of fire hydrants throughout the facility making it easier for fire fighters to get water to the scene. Also, they stagger piles of pallet stacks with piles of lumber. Since lumber is harder to get going than pallets, this provides a fire break of sorts. Also, pallet stacks are kept away from the fence and are aligned with large aisleways to provide space that can slow the spread of a fire. The height of pallet stacks are limited to 20 feet high. The company also has lights placed in strategic areas to help eliminate dark areas where people can hide. And Priority employs guards to patrol the facility both during and after hours. Guards at the CLP facility were responsible for noticing the fire as it first began and calling for help almost immediately. This quick response time certainly kept the CLP fire from being a lot worse. The company has an active fire management plan in place to check fire extinguishers annually. Also, the entire sawdust collection system is monitored and sprinkled. The moment the system detects any spark, an alert is sent. All of these precautions add costs to the bottom line. 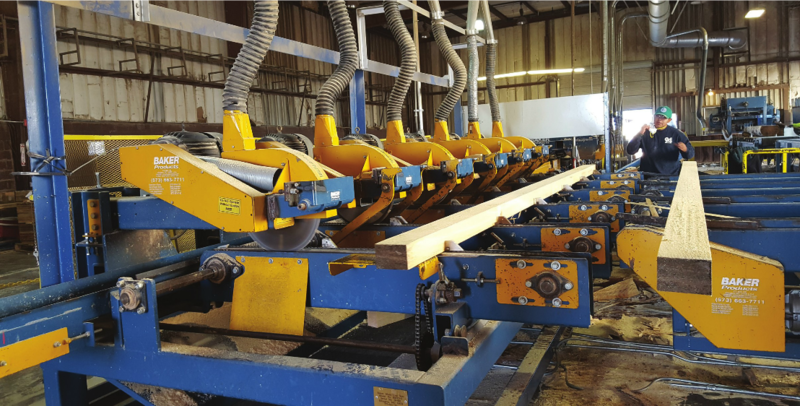 Priority’s sawmill is versatile to handle logs, cants or precut boards. The process starts with a Baker Super Streak Sawmill, operated by one person. The Baker Blue Streak is Baker’s most common mill. In the Baker Super Streak, the sawyer controls every aspect of the mill from a control console using joy sticks and a few foot pedals while seated in a comfortable climate controlled booth. This unique mill system has been designed for Priority Pallet to cut a log into flitches, not boards. The Baker mill cuts a log down into 3-1/2″ thick flitches, starting with a narrow flitch from the first cut and working toward wider flitches as you go further and deeper into each log and then ending with a narrow flitch on the final cut. These flitch sections travel on a roll case that feeds a circular gang edger with five 14″ diameter circular saw blades which has spacers set at 5-1/2″. Thus, the circular gang edger creates 3-1/2″x5-1/2″ cants. The edging strips will travel via a belted pan waste conveyor to a vibrating conveyor feeding the West Salem Machinery 3232BH hog. Hogged edging strips and wood fiber residue is used for soil amendment products, sold to nurseries as bagged product for fertilizer, flower planting, etc. Stacks of pallets are separated by lumber to provide a fire break to slow down the spread of fire. This approach works well since lumber is harder to ignite than pallet stacks. Cants from the gang edger are cut into shorter lengths on a six-head Baker circular saw multi-head trim saw. Next a Baker six-head band resaw with 20 hp motors resaws each cant into the desired cut stock dimensions. A Baker M6 Deduster removes the remaining sawdust from the cut stock, which transfers onto a Baker off-stacking conveyor. 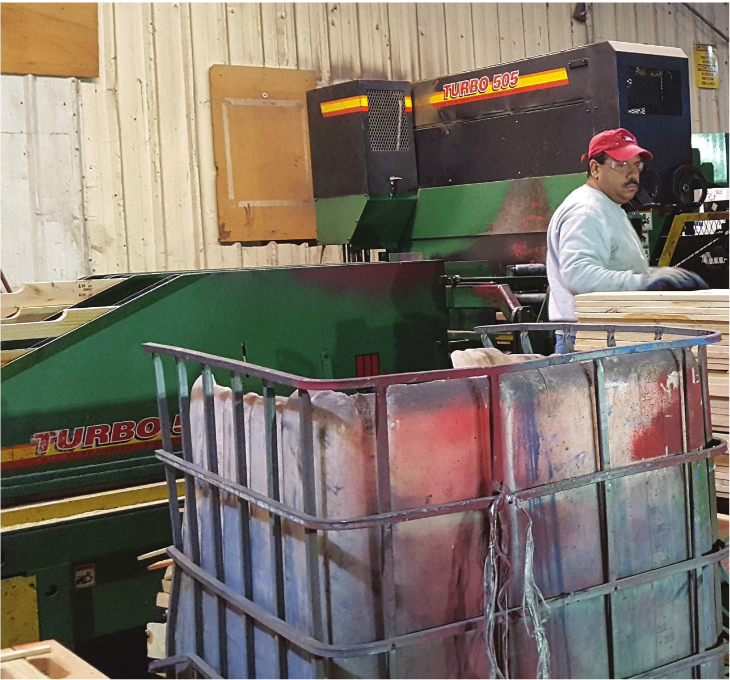 Baker stacking racks and two-yard dumpsters are simple but important parts of the system to handle finished lumber and lumber scraps. Baker also designed the complete waste removal system for the entire system. It will handle end trim blocks and shim cuts or any materials determined to be waste. Today, 80% of what Priority processes is raw logs compared to 20% random width material. The company buys mainly sugar pine and ponderosa pine. It does not cut any grade at the mill. Thus, some customers get some very nice, almost furniture grade material. 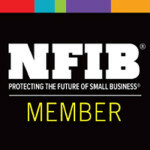 Both CLP and Priority are certified by SFI, which makes it unique in the marketplace. SFI certification guarantees that lumber and logs are procured from companies that are following laws and harvesting timber in a sustainable manner. Getting certified is no easy task. It requires a ton of paperwork to show where you source your material. Certification is good for five years, and annual audits are conducted to ensure compliance. Dietrich explained some of the administrative effort involved. The companies maintain vendor certification numbers on file and tracks every lumber purchase. They both conduct internal audits. An accurate paper trail is required from an initial order of lumber through to receiving and payment. The SFI process includes an assessment of any raw materials from outside of North America to avoid such issues as illegal logging operations. Dietrich volunteered that the record keeping required is not that easy initially but maintaining it is much easier to do. Priority uses lights, security guards and other safety procedures to help mitigate security and arson concerns. The Beaumont facility was bought in 1999 from Square D, a manufacturer of electrical equipment. Ray Sr. recalled that it was the first time he had ever been interviewed by a seller to see if it would sell the property to him. He said that Square D wouldn’t sell the property to just anyone. The company had a strong commitment to the environment and wanted to make sure that the new owner shared these values. Ray Sr. laughing recalled, “We never intended on having a sawmill or doing a lot of different things here that happened.” But he added that they always found a way to use every piece of land. The CHEP service center work is conducted by hand at manual inspection and repair tables. Odd-sized and large pallets are produced by hand using pneumatic tools. Priority also uses automated nailing lines for higher volume orders. It has a Viking Turbo 505 and a GBN Excalibur nailing line. Priority bought the GBN for making block pallets for CHEP. Not it is primarily used to make one set pallet for a very large customer. Priority also produces heat treated pallets and is just about to install a Sii dry kiln that will doubles its capacity. The goal is to treat 2,400 pallets in three hours or less. Ray Sr. who worked his way up the ladder to buy the company appreciates the dedication of his workforce. “My employees have everything that I have from health care coverage including dental to retirement and vacation time,” stated Ray Sr. Although the Priority facility is not a union shop, the workers there have all the same benefits as those at the CLP plant where it is unionized. Ray Sr. said, “We have had 25 or so people retire from our combined companies through the years.” He believes in hiring good people and rewarding them for their efforts. One of the most important things that Ray Sr. said he realized early in his management was that he couldn’t do everything. And he needed good people who were released to make smart decisions. “The only big difference between us and other pallet companies is our people. When you treat them right, people listen and pay attention,” declared Ray Sr.
We were the first pallet company in the United States to be SFI Certified. View our SFI Certificate. You can learn more about the SFI Standards here and why SFI is important here.